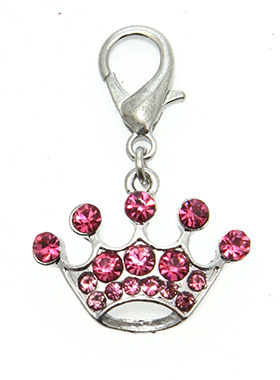 A nice charm just right for your own little princess. Fun and stylish, a wonderful way of showing off your own individual flair. This crown shaped pendant features 15 Crystals set in silver coloured plated alloy. Attaches to any collar's D-ring with a lobster clip. Measures approx. 1'' - 2.5cm wide.